He made such a mess! There is no doubt about it: the Toronto Maple Leafs need to get back on track if they want to convince fans that they are ready for a long and successful playoff run. Therefore, practice is needed. However, there might be an obstacle in the road on Wednesday as star forward John Tavares delayed the teams' practice session. It might cheer fans up to know that it's all because of his powerful shot. 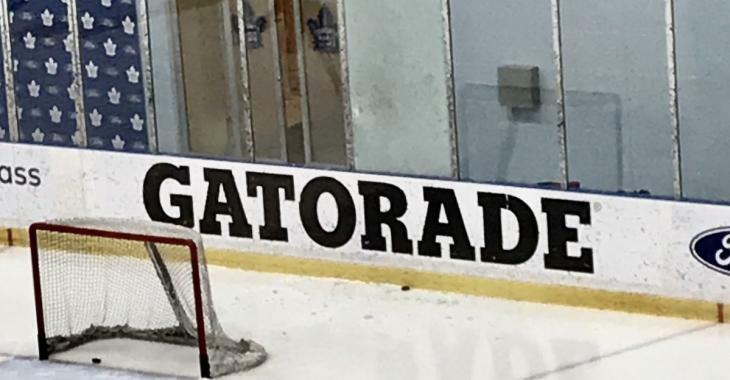 As Bardown posted on social media, Tavares snapped one hell of a shot on his goalie Frederik Andersen but he missed and shattered the glass pane right behind the net. Everyone was stunned on the ice as pieces of glass fell onto the ice. Andersen turned around and couldn't believe what had happened. We all know how powerful Tavares' shot can be, and this certainly proves it, however fans would probably enjoy it better in a game, in a Leafs' victory to be more precise. Frustrations boiled over Monday night as the Maple Leafs fell 6-3 to the Colorado Avalanche. Toronto faces the Tampa Bay Lightning on Thursday night and will hope to get back on track, especially when it comes to home games and playing in front of the local fanbase. “Certainly you want to make your own building a tough one to play in,” Tavares told the Toronto Sun on Tuesday. “There are things you want to take advantage of and you get the benefit of a lot of things (such as last line change), so we have to play a lot better, execute and get the results we need here. Let's see if the Maple Leafs can figure it out during practice and ahead of Thursday's contest... after they clean up the mess Tavares made.